Mbuba's project is known as Sikhulakahle or “We are Growing Well” and was established in 2008 after a community member approached LETCEE to request that we start a project similar to the one being run in neighbouring Matimatolo. Mrs May Buthulezi brought the Inkosi and his representative to meet with LETCEE, and the project was agreed. Mrs Buthulezi later served on the LETCEE Board. 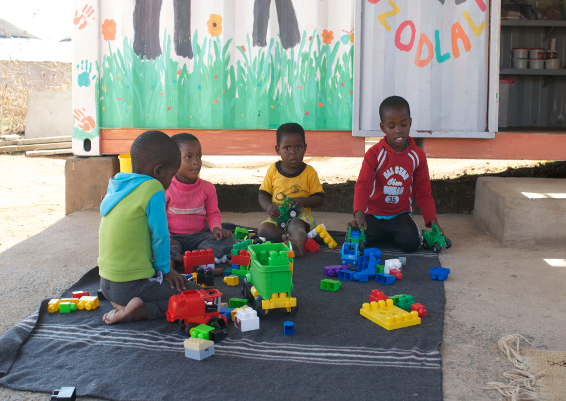 The Sikhulakahle Toy Library was officially opened on the 24th of June 2011. On average some 150 children visit this Toy library monthly. The mobile Toy Library visits 5 different venues in this community each month. All community children are welcome at both the fixed and mobile Toy Libraries. 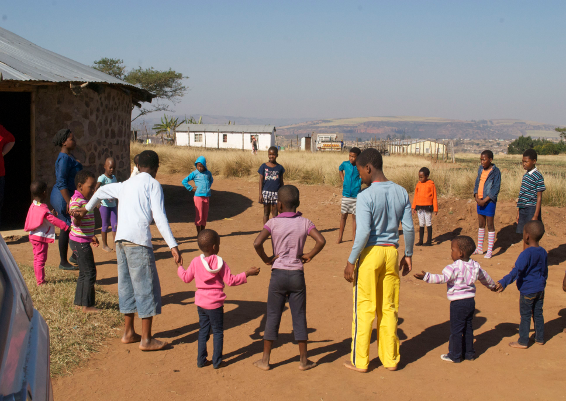 The Buddies in the Sikhulakahle project are active and spontaneously arrange play days for the younger children. They meet with a facilitator fortnightly. The Self Help groups in Mbuba are vibrant and successful, having saved a total of R to date. These 10 clubs have recently formed the Masihlangane Cluster Level Association, which is working towards registering as a cooperative. Two businesses have been started: an egg laying project and a hot chip shop. The groups are comprised mainly of caregivers from our beneficiary families. These families are benefiting by having a little more disposable income from these initiatives. LETCEE and the Mbuba Community are grateful to FNB who continue to support this community project.